Mahindra has begun testing the XUV 700 luxury SUV in full earnest on Indian roads ahead of the vehicle’s launch during the festive season of this year. Here’s the first video of the SUV in action. The XUV 700 is a Ssangyong Rexton G4 that has been rebadged for the Indian market. This is because the Ssangyong brand isn’t strong here while the Mahindra brand is extremely strong and well known. 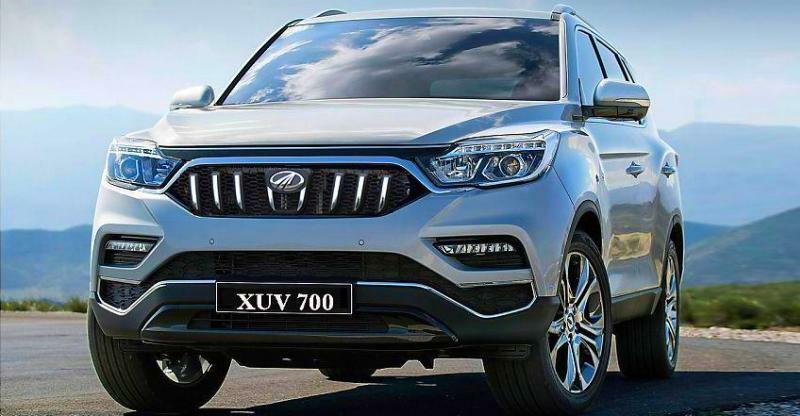 While most media reports, including this one, refer to the new luxury SUV from Mahindra as the XUV 700, the automaker is yet to officially name the vehicle. The XUV 700 will compete with luxury SUVs, such as the Toyota Fortuner and Ford Endeavour but is expected to be priced significantly lower. In fact, this is the same strategy that Mahindra followed with the previous generation Ssangyong Rexton, which undercut the market leading Fortuner by quite a bit. However, it failed to take off as the Ssangyong brand was relatively unknown. This time around, the Mahindra badging may help. The G4 Rexton/XUV 700 is a large, 7-seat luxury SUV whose ample dimensions make it one of the largest in its segment. It’ll be a diesel-only model, using a 2.2-litre turbocharged engine that puts out 178 Bhp of peak power and 420 Nm of peak torque. Mahindra is likely to use a 7-speed automatic gearbox, borrowed from Mercedes Benz, as the standard transmission option on this SUV. The company may also offer a rear-wheel drive and a four-wheel drive layout. While the XUV 700 will have off road capability due to its high ground clearance and a four-wheel drive layout, it’s still not meant to be a dedicated mud plugger. It will be more of a large, comfortable SUV that can handle short off road jaunts if necessary, much like the Fortuner 4X4 and Endeavour 4X4. In terms of safety features and creature comforts, the XUV 700 will be the safest and most luxurious vehicle that Mahindra has slapped its badges on. From 7 airbags, ABS+EBD, traction control, ESP and hill hold, to a sunroof and leather clad interiors, the XUV 700 will offer a lot.